MaxxStrip blast media, also known as Kieserite, is a unique mineral imported from Germany. 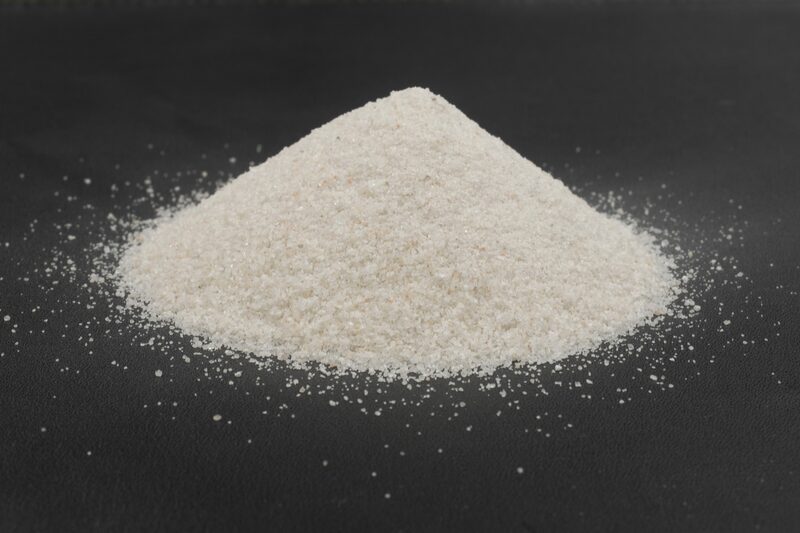 Our supplier turns the raw mineral into an engineered product by screening it to ensure uniform particle size distribution and adding anti-clumping technology to ensure constant flow occurs while blasting. MaxxStrip is classified as a soft, water soluble media, and works well in many situations, especially pool projects and any other environment which requires a neutral pH solution (MaxxStrip is used as a fertilizer in Europe and will not harm any surrounding landscaping). One of the main differences between Baking Soda and MaxxStrip is hardness. MaxxStrip is 3.5 on the Mohs hardness scale (vs. soda @ 2.5). This makes MaxxStrip a cross-over media – it’s hard enough to remove rust off of metal, but still soft enough to use on certain “fragile” substrates like limestone or pool tiles without risking damage. 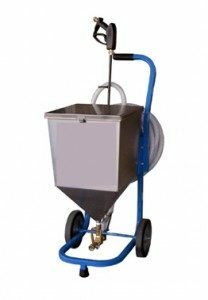 MaxxStrip blasting media is all natural, water-soluble, silica and toxic metal-free, non-hazardous, non-toxic, and non-sparking. MaxxStrip’s pH is neutral, making it landscape-safe as well. Like soda, MaxxStrip media also has multiple applications. 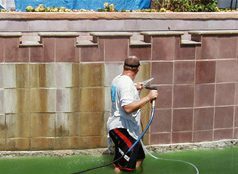 One of the best is fountain and pool tile cleaning, which is an extremely safe and effective technique for removing calcium and scale deposits. Unlike other pool tile cleaning methods which involve dangerous chemicals, the results are faster and cleanup is much easier. And, it’s safe to swim as soon as you finish! MaxxStrip blasting media was chosen to clean the limestone facade of a 1,000,000 sq. ft. pharmaceutical corporate headquarters building in New Jersey after many other medias and methods were tried and failed. The following link tells the story: MaxxStrip Case Study. 40-60 3.5 Variable Great cross-over media – hard enough to remove rust off of metal but still soft enough to use on certain “fragile” substrates like limestone or pool tiles without risking damage. FOB Hatfield, PA (Philadelphia Area)- Please visit shipping rates for more information.